I’d like to start by wishing you all a Happy New Year and hope you all had a wonderful Christmas, I’m sure you all ate and drank too much but I’d be disappointed if you didn’t. It has been an incredibly busy festive period here at the club, with so many members, guests and greenfees playing our wonderfully dry golf course and being very complimentary about the condition of the course to the point where a small group who played in a society are all now looking to join up. I am confident that this year will be a great year at the club with membership continuing to grow putting us in a much better place, building a great future for this wonderful golf club. Happy New Year to you all and I hope it brings you all you wish for. I’d like you all to take 10 minutes and have a look at the attached document HERE to familiarise yourselves with the NEW rules that kicked in in New Year’s Day. If you weren’t able to get to the Rules Evening before Christmas, we’ve put together a list of the most relevant NEW rules that are now in play. If you have any further enquiries or are not too sure of any of them please get in touch or pop into the Pro Shop and we will be happy to go through them with you. You can also pick up a FREE 2019 rules R&A Rule book from either the Pro Shop or the entrance hall. 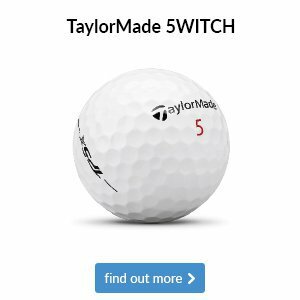 We’ve had a couple of events to report on since my last newsletter starting with the Men’s Christmas Stableford and Blind Pairs. The Blind Pair's part of the competition simply means we drew the partners after everyone had teed off. There were some interesting pairs that were thrown up but clear winners with a joint total of 84 points was the pairing of Charlie Loftus and Gerrard Harrington. The individual prize was won by Malcolm Walker who posted a massive 44 points to beat Charlie into runners up spot. Malcom earned himself a two-shot handicap cut down to 12. Very well played gents. We then held our annual England vs The Rest of The World stableford match. As well as individual prizes the way the result of the match is worked out is an average points for each team as the numbers are never quite even. The individual winner was that man on form at the moment, Richard Foot who returned 43 points to narrowly pip Shirley Kennett with 42. Rich continues to tumble down to 12 which considering he started 2018 at 19 is pretty impressive. So, now down to the big international match result and it couldn’t have worked out any closer with England Captain, Rich Halifax and ROW Captain, Adrian Northeast holding their breath for the result. It came down to 0.05 in the end with England taking their first ever victory since we started playing the event. Rich was slightly pleased to say the least with a great atmosphere once again in the club. 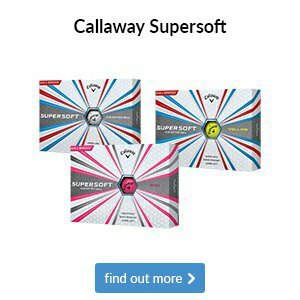 We told you all before Christmas about the Callaway Experience that we can take you to at their Performance Centre and several of you have taken us up on this. All who have gone have thoroughly enjoyed it and have clubs now on their way to them. I have now managed to book one extra time slot from 6:00 - 7:00pm on Thursday, 17 January. 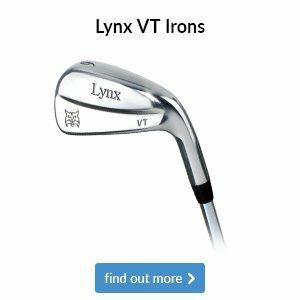 If you would like to be fitted for irons, woods, hybrids or an Odyssey putter then please let me know HERE and we’ll reserve it for you. A new year always brings with it a sense of renewed motivation when it comes to improving your golf game – and 2019 isn’t any different. 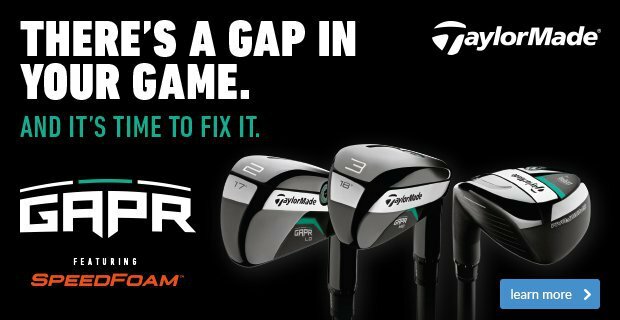 So, before you head to the course next, go into the garage and give your equipment the once-over to make sure all is in order for the year ahead. What will you find in yours? 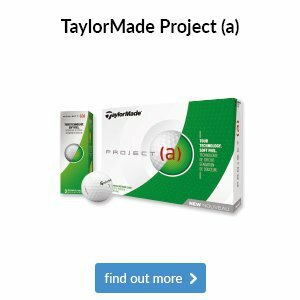 Is it half-broken tees and scuffed golf balls galore in there? Perhaps your glove is so tattered you don’t know which holes are for your fingers? What about your headwear; are your beanies no longer wearable on or indeed off the course? Or maybe your golfing socks are now out of fashion? 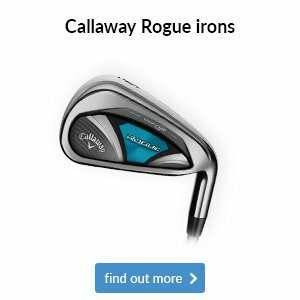 Whatever it is, come and speak to us – we can fix you up with the best the golf industry has to offer, from tees to shoes to any accessory you can think of. What will you find inside yours? 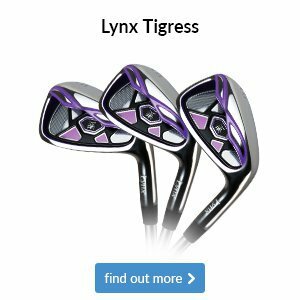 What about your grips: have they worn away so badly that you have a better chance at holding on to the shaft? Or maybe the leather upper on your shoes is beginning to crack? If you're looking for a ladies fashion brand which knows exactly what quality feels and looks like, then you need to check out Swing Out Sister's collection. 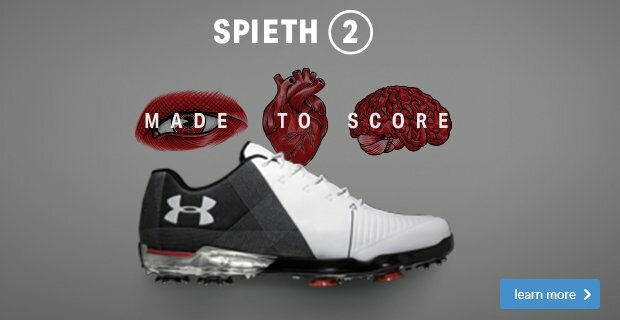 They've already created some stunning outfits for you to wear out on the course, which will have you turning heads for all the right reasons. The Emilia Fur Collar jacket is ideal for those of you looking for the most stylish golfing attire. 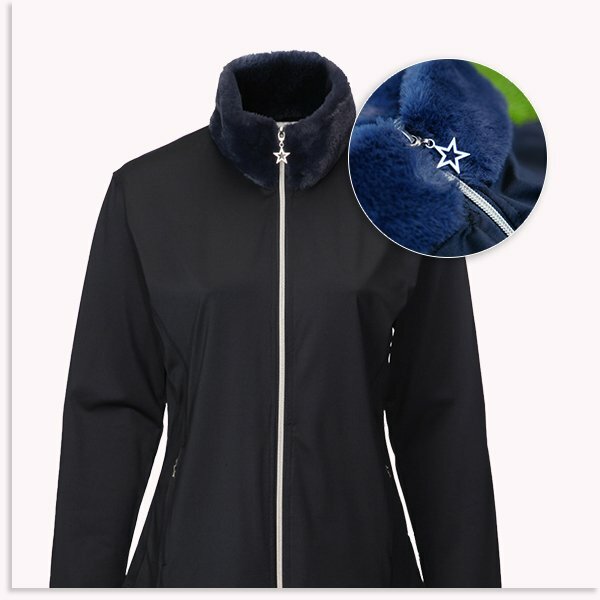 Featuring deep pockets and a back scooped detail to keep you warm in all areas, as well as a stunning fur collar and star zipper, this jacket has every box ticked when it comes to design and functionality. 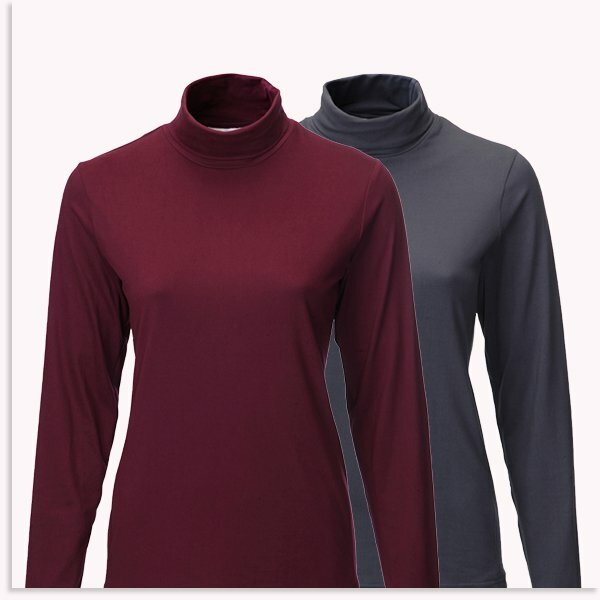 The Jennifer Roll-Neck follows that similar vein of being both gorgeous to look at as well as packed with technology. 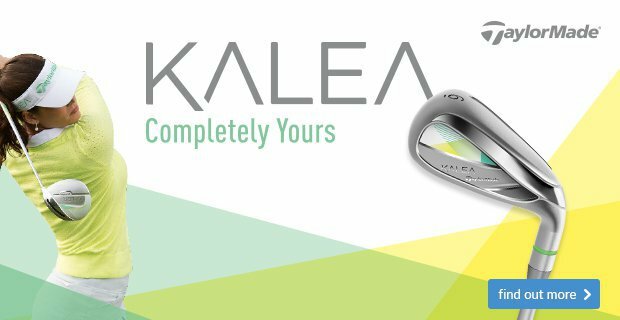 It feels incredible on the skin, with a superb design to match - why not try wearing it with a skirt for use in the office as well as on the course? 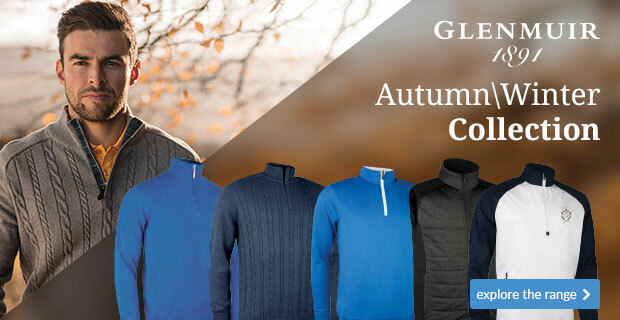 If last year’s “Beast from the East” taught us anything, it’s that you definitely need a golf-specific rain jacket when you’re playing golf in the early months of the season. 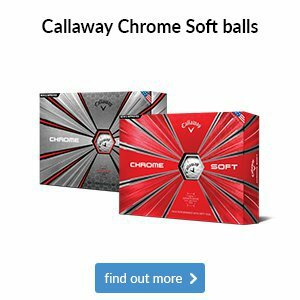 Indeed, you might still be recovering from the memories of coming off the course dripping wet last year, with your pristine golfing outfit in tatters after taking a battering from the British weather. 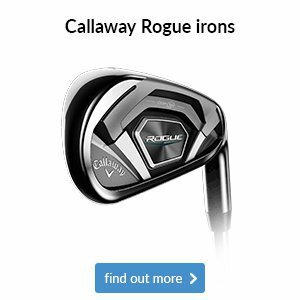 But we have the perfect solution that'll keep you dry whilst playing golf in a downpour. 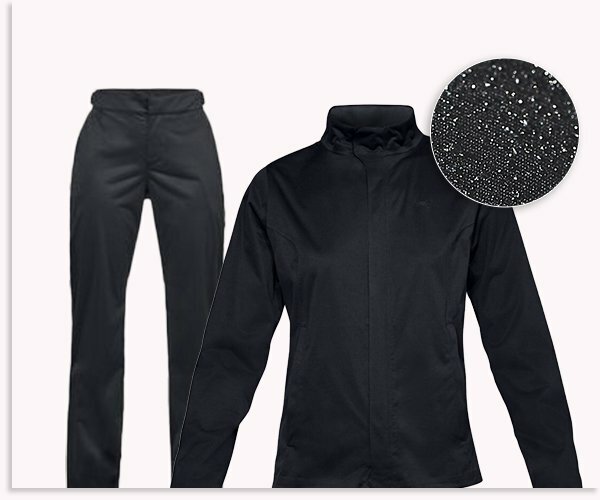 Under Armour's Women's Storm Rain jacket - shown in the second image here - has been specially engineered to keep you dry at all times thanks to its 100% waterproof construction. 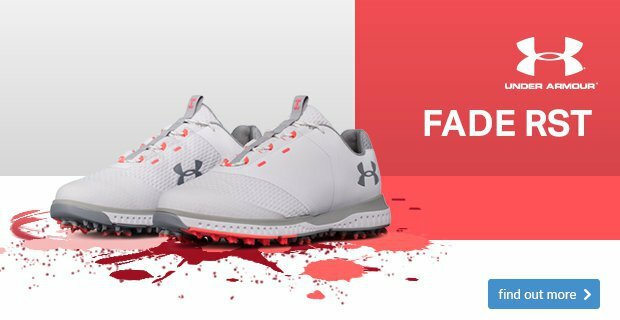 Not only that, but its matching pant and classic design means it oozes style whether you're on or off the course. Indeed, you might be thinking twice about taking to the course when the forecast doesn't look great this month - and we don't blame you if you're as ill-prepared as the golfer in the photo above. But we have the perfect solution in-store that'll keep you dry whilst playing golf in a downpour. 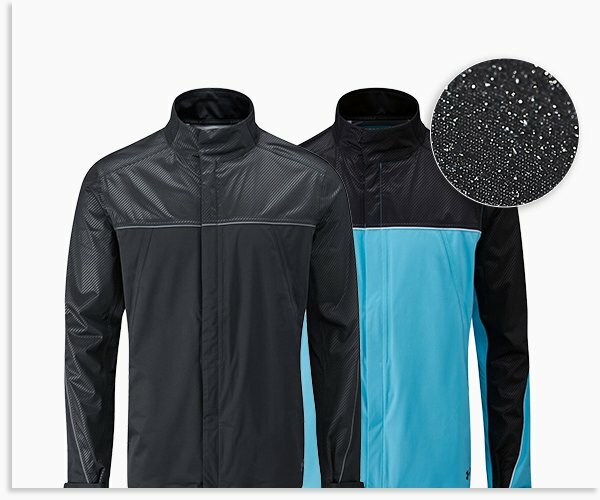 Under Armour's Storm Rain jacket - shown in the second image here - has been specially engineered to keep you dry at all times thanks to its 100% waterproof construction. This isn't the only piece of stylish rainwear that we have in-store, so be sure to pop in for a browse next time you're at the club.